James Smith only held minor public offices before and after the American Revolution. During the crisis, however, he was one of those who stepped up when times got tough. James Smith was a prominent lawyer and surveyor in York, Pennsylvania when hostilities began in Boston. As such, he was sent to by his peers as a delegate to the Pennsylvania Convention. This Convention was tasked with determining the feelings of the people of the state towards the approaching conflict with Great Britain. James Smith was one of the most outspoken proponents of war. He knew early on that reconciliation would be impossible and was perhaps the earliest proponent of independence in Pennsylvania. Smith, already a militia leader, raised a group of volunteers to serve in the Continental Army. It is said that he was able to recruit twenty thousand soldiers for George Washington before independence had even been declared. He was elected colonel of this regiment. However, due to his age (he was probably about 57), the title was viewed as honorary. Though today this may not seem like an extremely advanced age, in the late 18th century it was. Keep in mind, George Washington was in his early 40’s at the start of the war. Many of the most important Founding Fathers from Pennsylvania were hesitant to separate from Britain. Some (notably Robert Morris and John Dickinson) would go so far as to skip the vote on declaring independence. Smith was not in the Continental Congress when the vote for seperation took place. After the vote, however, many of the states recalled delegates who were hostile to the idea. They were replaced with more radical representatives. James Smith was one of these representatives. He was in Congress on August 2, 1776. This is the day of the famous signing. He gladly put his autograph on the Declaration of Independence. 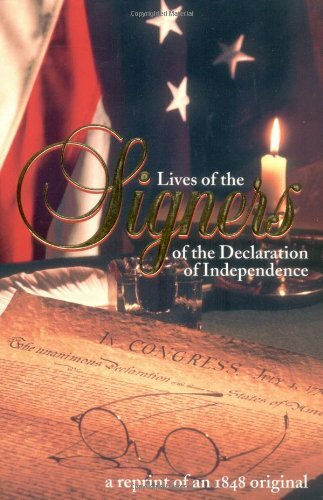 The fullest account of James Smith's life is from 'Lives of the Signers of the Declaration of Independence' written in the mid 1800's. 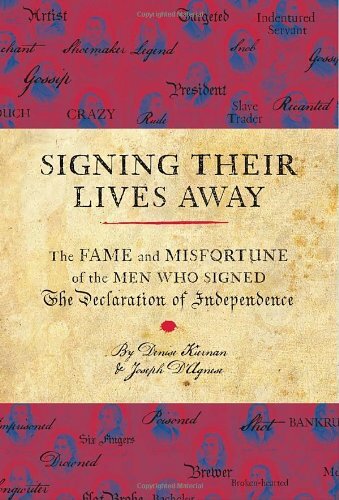 'Signing Their Lives Away' is also a collection of bios of the signers but is a lot of fun to read whether you're a history buff or not. Please remember to subscribe to our email list or follow us on Facebook for another Founder every day.